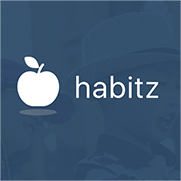 MedNition Inc., a Silicon Valley-based healthcare technology company applies machine learning to provide physicians and clinical practitioners with real-time clinical decision support to improve patient safety and improve operational efficiency for hospitals. With a predictive model that is clinically validated by teams of physicians, MedNition’s initial prototype product achieved medical device level accuracy which is required for clinical environments. MedNition’s simple deployment, HIPAA-compliancy and seamless integration into their customers existing medical record systems mean that physicians can start using MedNition instantly and without the need for time-consuming training or patient care workflow changes. Digamma’s team was involved from the beginning in the design and implementation of MedNition’s machine learning framework. Digamma’s team was involved from the beginning in the design and implementation of MedNition’s machine learning framework. Digamma’s team analyzed patients’ data at MedNition and played a key role in setting up the company’s machine learning-driven framework. 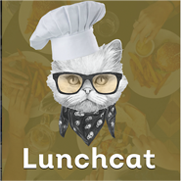 Lunchcat is a demo chatbot our team created that uses natural language processing (NLP) and helps you and your friends easily and quickly split lunch costs.